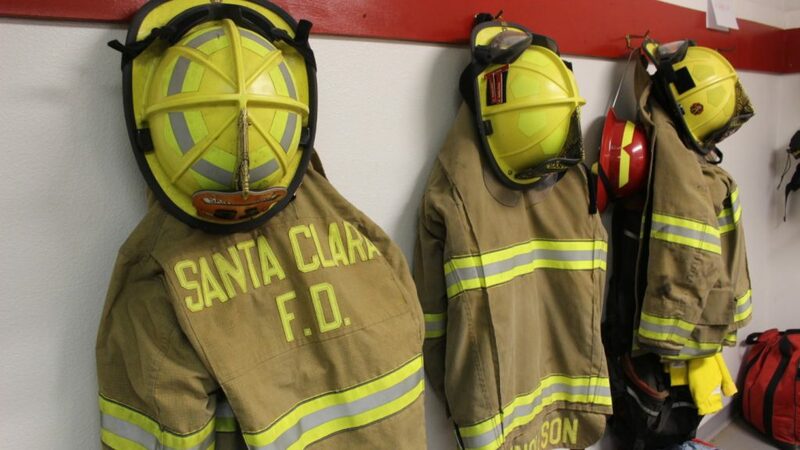 SANTA CLARA – To keep up with continuing growth, two Washington County cities have merged their fire departments. The Santa Clara Fire Department and Ivins Fire & Rescue officially merged Jan. 1 to become Santa Clara-Ivins Fire & Rescue. Firefighters from both agencies were already training as a single unit in preparation for the merger, Santa Clara-Ivins Fire Chief Dan Nelson said. 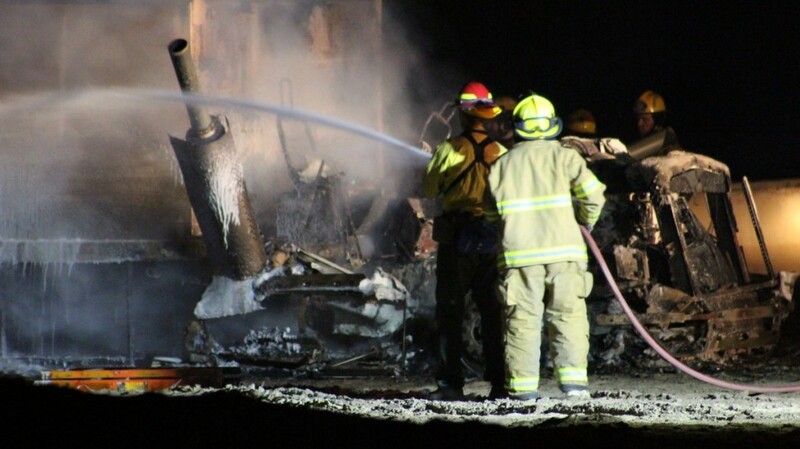 The two fire departments were brought together to pool manpower and resources, as well as provide better service for the two communities overall, Nelson said. Santa Clara Mayor Rick Rosenberg called the merger a “natural progression” that started over five years ago when Santa Clara and Ivins merged their police departments and created Santa Clara-Ivins Public Safety. “It’s worked out really well,” Rosenberg said. 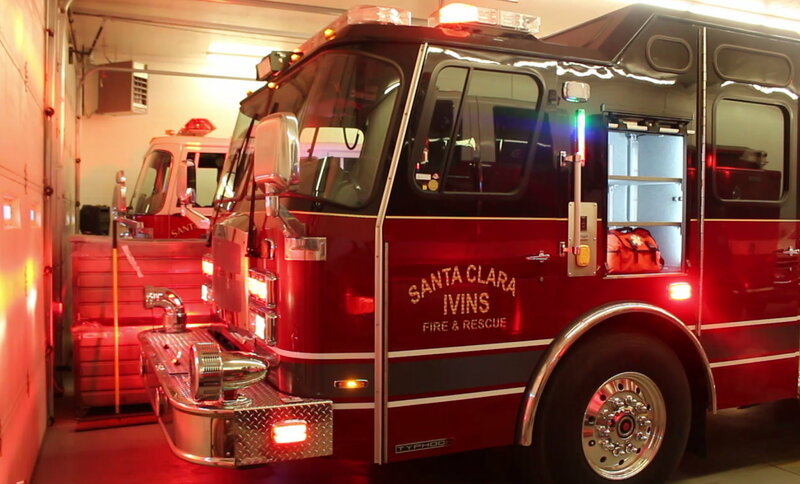 Through the merger, Ivins gains Santa Clara’s wildland firefighting equipment and experience, while Santa Clara gains Ivins’ ambulance service. The merger creates a single firefighting and emergency medical service that sports over 60 individuals made up of full-time, part-time and volunteer firefighters, EMTs and paramedics. All four of the new agency’s fire stations will also be staffed 24/7 instead of left unattended at times due to lack of manpower, Rosenberg said. Having the staff on hand helps reduce response times to emergencies as firefighters won’t be scrambling toward the station when a call comes in. “Now there’s always somebody there,” he said. A new fire engine purchased by Ivins at around $600,000 also comes with the merger. Under terms of the merger, all firefighters, EMTs and paramedics with Santa Clara-Ivins Fire become employees of Santa Clara for the sake of simplicity and efficiency in management, Nelson said, adding it’s easier to manage a single budget instead of two. The arrangement is similar to the police department merger that made all officers employees of Ivins, Nelson said. As for funding, the cities split the cost based on population, with a rough estimate of Ivins paying around 55 percent and Santa Clara paying 45 percent. In addition to the fire and police departments, the cities have also merged their justice courts. When asked if this could lead to the two cities merging into one municipality at some point, Rosenberg said it was not likely. Part of sharing those resources also helps the cities be more efficient with taxpayer money, both Rosenberg and Nelson said. “It looks like (the merger) will be advantageous for both communities,” Rosenberg said. Ed. note: An earlier version of this article implied that Mayor Rosenberg had said Ivins and Santa Clara could merge into one city in the future. This is not the case and was an editing error on the part of the reporter that has been corrected.